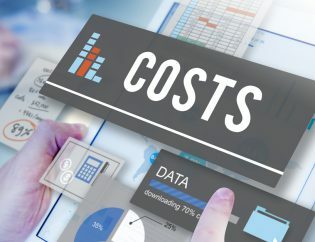 As the digital transformation juggernaut moves along, subsuming all workflows and processes globally, it would be illogical to expect accounting to be spared the transformation. Yes, the effects of this transformation are seen in accounting, as in other functional areas. As a General Purpose Technology, IT has impacted all processes either directly or indirectly, ushering in change, and leaving no domain untouched. What emerges from this accretion of sorts is a simple fact – it makes more sense to outsource accounting services. By virtue of being specialist in nature, these services can only be offered by qualified, certified and experienced professionals. Though a need for a separate accounting department will be necessary for unicorns or large organizations, accountants within organizations will certainly find it easier to outsource tasks and take advantage of the accounting technology dimension that has transformed outsourcing into a better option. 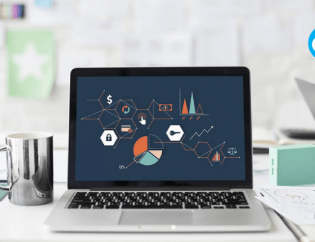 The future of accounting will certainly revolve around four aspects, primarily related to the nature of the job, the use of technology, the need for outsourcing, and advisory services. And what is certainly not going to happen is the loss of jobs to machines, despite all the brouhaha about AI, Machine learning and new technologies. In this context, there is a single point that needs mention – it is not possible to replace all human roles. While technology will certainly change the roles and bring in automation for greater efficiency and AI assisted decision making, it is hard to foresee machines taking over all roles. Especially when it comes to number crunching and financial transactions. 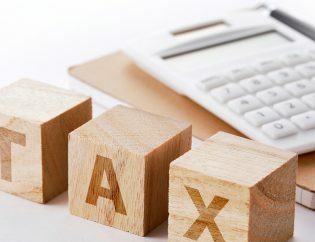 While blockchain as a technology would certainly be a disruptive force, a game changer in accounting, it will certainly be difficult to take the place of a certified, specialist team of accountants, who offer tax advisory services and assist clients in understanding provisions of taxation and exemptions. As a distributed ledger, it will simplify operations and improve compliance, but will still require an accountant to handle other aspects of accounting and taxation. Job descriptions will change and will certainly not be similar to what they were earlier. Technology driven tasks will demand the accounting profession to hone their skills and blend it with technology for optimum results. A lack of proficiency in advanced applications will certainly be a handicap, and accounting firms that do not embrace technology or upskill resources, will find the going tough. Globally, as standards are brought into place for a more seamless governance, it is only a matter of time before transactions become fully digital. This will then necessitate the use of bookkeeping software, applications and accounting software that are compatible or as per a fixed standard. Accountants in businesses that are not in possession of the resources or budgets necessary, with all the mandatory/required applications and skilled manpower, will find the outsource accounting service route to be the best option. Large companies with high volumes of transactions, with the pockets to afford a separate department will be in a position to maintain the right kind of trained and certified accountants with the necessary software. Here, the search will be for accountants who are highly qualified and certified, for the some reason that other repetitive tasks that require no human intervention will be handled by AI and blockchain. This aspect more or less overlaps with the roles of accountants and resources as mentioned above. Accounting technology will continue to make inroads into functional areas. As algorithms become more complex, and computing power increases, the technologies that are presently available for accounting will improve to levels that will make compliance, bookkeeping and accounting a lot more streamlined and seamless. A shakeout is certainly on the cards as packages and applications that do not offer the full suite of services will not make the cut. Accounting software that are advanced, future ready, open ended, flexible, user friendly and uncomplicated will find takers, while other mediocre offerings will bite the dust. However, as accounting is a specialized area of activity, the mere possession of software or packages will not render an organization fully prepared to undertake accounting. Far from it, a business that attempts to do so without the necessary fundamental knowledge of accounting and VAT filing and taxation procedure, will find themselves in a fix. Systems and packages need to be in place after the resources are hired, and not the other way round. A presumption of requirements will backfire and result in unwanted CapEx. Five different factors will standout on the accounting technology front. As more and more businesses move their operations to the cloud, accountants will also be expected to follow suit. This augurs well for the business as well as the accountants. This cuts down the time required for transmission of documents and reports, and gives both entities the option of seeing and sharing information on a real time basis, regardless of location or device. This actually permits accountants to offer superior quality of services to clients, at reasonable costs. Accountants will see a change in roles, as businesses begin to demand insights and analysis from accountants. By looking at data, accountants will be able to help businesses understand more about the financial health of an organization, and help businesses to learn of potential gaps and verticals that are not functioning as desired. Data viewed in isolation and data viewed as a comparative statistic offers insights to analytical minds. Accountants who crunch numbers and work through figures will have a better idea of how the numbers stack up in particular areas and how a section has fared in a specific period. An interpretation of these numbers will help businesses to plan better, and accountants will, in the future be required to come up with figures that offer insights. As businesses increasingly adopt BYOD and lines begin to blur between devices that are used for official and personal purposes, the demand for accessing reports and data on mobile will grow. Accountants will therefore have their tasks cut out here. Not only will there be a need to rely on software and packages that are optimized for mobiles, they will also have to keep the reports up to date always. As business owners seek reports as and when necessary there is a need for all data to be updated on a real time basis. While technology will take care of most of the processes, accountants need to conduct an overview to check for data integrity and ensure that reports present accurate figures and data. This will certainly be one area that will witness the biggest changes in the shortest possible time. As a proven technology in ledgers, it is highly suitable for accounting and is destined to be a disruptor. As blockchain develops, the extent of use and the features will only improve to a level where it becomes the defacto technology for accounting. Accounting demands a foolproof and highly secure application that cannot be tampered with, and blockchain has the necessary design and concepts in place to render greater security and seamless operational efficiency. As an online ledger, blockchain offers stakeholders the options of seeing the transactions unfold, with only a few resources being empowered to make changes. This renders the process transparent, and secure. As blockchain finds more acceptance in accounting, the processes will be a lot faster, leaving accountants with more time to focus on other areas that require intuition and interpretation of data. The number of applications that handle invoices, and automated bank reconciliations have increased and of late involve high speed automated processes in scanning of invoices. While hard copies of invoices are still in existence, it is only a matter of time before most of it is phased out. With advanced bookkeeping software having superior parsing skills, automation will slowly move into the next level and will render greater assistance to accountants in the discharge of functions. Intelligent accounting software solutions will lend greater efficiency to automation and most transactions will be safely handled through automated processes. However, as has been maintained earlier, automation and AI will assist accountants and not replace them. Certain functions will be rendered more effectively and efficiently, but will always play the role of an enabler. Automation in accounts will slash the amount of time taken for completing processes, which will help businesses as well as accounting firms. This will certainly be the preferred option for Accountants in organizations in the face of tighter budgets. Outsourcing as a model has benefitted many back end processes. The accounting profession is a niche domain with a need for specialist resources to handle the operations. A separate department will work out in terms of expenditure only when the size of the organization or the volume of transaction warrants it. Accountants in businesses that do not have voluminous transactions or are very small in size, will look at the outsource accounting services route, relying on bookkeeping software to become compliant and file returns. Technology has smashed the barriers of locations and accountants can actually take advantage of lower costs and specialized services of agencies in different locations. However, as accounting has got a lot to do with local regulations, it would thereafter become necessary to ensure that offshore accounting agencies possess the specialist skills required to ensure compliance with jurisdictional authorities. Accountants in businesses will also look at outsourcing tasks that are of a general or basic nature, when there is not much of compliance involved. For example, data entry can safely be outsourced, provided the software used by the agency has a standard structure. Advisory services will be one important aspect of accounting services. Regardless of the technology that is used, accounting firms will need to provide insightful advisory services. An experienced and certified accountant will possess the requisite knowledge to understand specific situations of businesses and offer suitable inputs at the right time to help businesses steer themselves to safety. Rather than playing the role of a facilitator for compliance, which is basically an interpretation of laws, the accounting profession in the future, will involve more in matters that require specialist knowledge, while relying on technology to take care of other basic tasks. As a large number of scams surface, compliance and regulations have been modified and tightened to ensure that companies or businesses do not indulge in practices such as tax evasion. Transactions will be exposed to greater scrutiny and it is therefore necessary for accountants in organizations to ensure that all transactions and compliance remains within the law, by relying on specialist accountant services. One of the developments that directly impact accounting is communication technology. Advanced communication has transformed the way accounting services are accessed and offered. 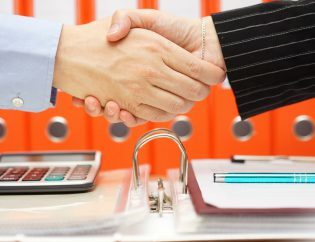 Accounting services which were once the preserve of large conglomerates, are now available to accountants in firms of all sizes, thanks to the convergence of IT and communications. IT has the potential to deliver results, but can do so only upto a point in the absence of strong communication networks. However, as communication networks delivered IT to all locations, accountants in businesses have greater reason to rely on offshore accounting services. The catch is that while technology has rendered distances redundant, it will not change regulations and compliances. Accountants who rely on offshore accounting firms that operate in distant locations need to ascertain the expertise and professional knowledge, specifically with regard to expertise on local laws. Accounting is as old as business itself, and has been used from the time the barter system was in practice. 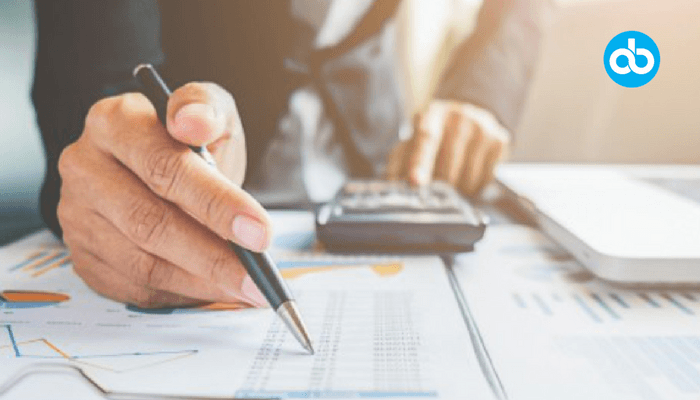 Accounting is one of the most important aspects of business, because to put it quite bluntly, one of the main reasons for a business to exist is the monetary aspect. Without the right inflow of funds, other objectives of growing and expansion will hit a wall. Therefore, it is necessary for accountants to ensure that all accounting practices are as per legal requirements and fully compliant, in terms of taxation. The future is promising as accounting will continue to improve with technology driving the accuracy and speed of services.